are the hull of the flax seed + a SUPERFOOD with MANY Healing benefts! 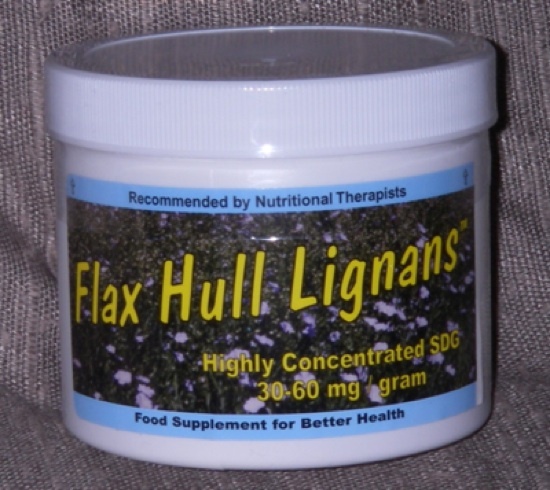 Golden Flax Hull ~Lignans~ are a SUPERFOOD –You can help HEAL YOUR BODY! Has helped prevent + reverse HAIRLOSS!! Has decreased and Stopped HOT FLASHES! Anti-inflammatory benefits, helping those with Arthritis + bowel irritation. New research shows anti-cancerous benefits! Once a day, Add 1-2 scoops (small scoop included =1/2 tsp) to your cereal, smoothie, juice, etc. If you have Hot Flashes or problems with inflammation, you may want to eat 2-3 scoops/day. Click Here For More on HOW TO EAT LIGNANS. Back to top of Lignans.